14:07 | Paita (Piura region), Nov. 5. 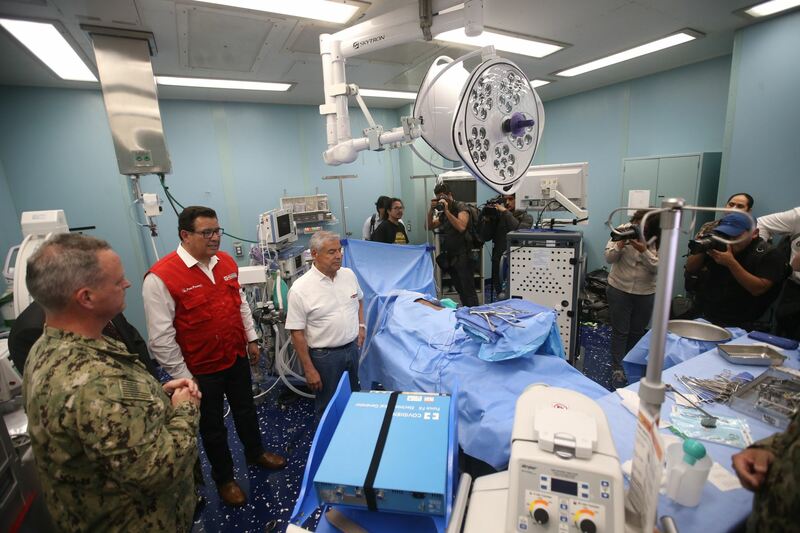 Prime Minister Cesar Villanueva on Monday visited the United States Navy hospital ship USNS Comfort (T-AH 20), which arrived in Peru on a medical assistance mission. 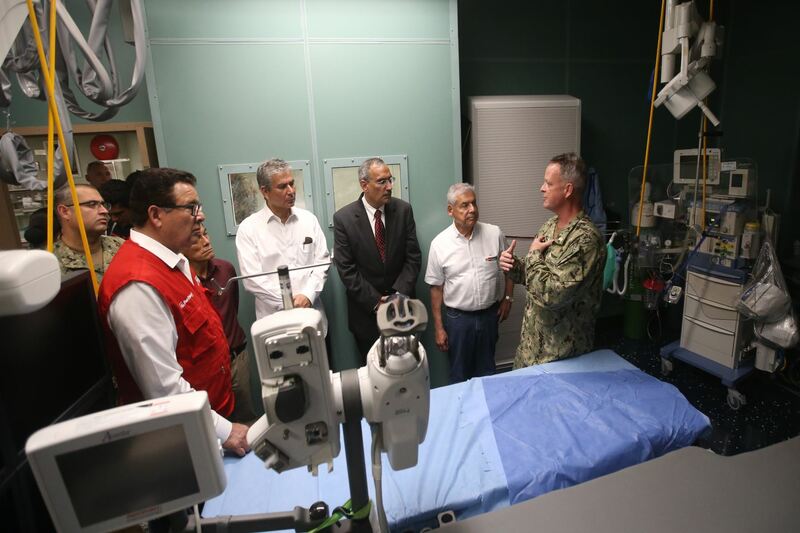 On the occasion, the official was joined by Defense Minister Jose Huerta, U.S. 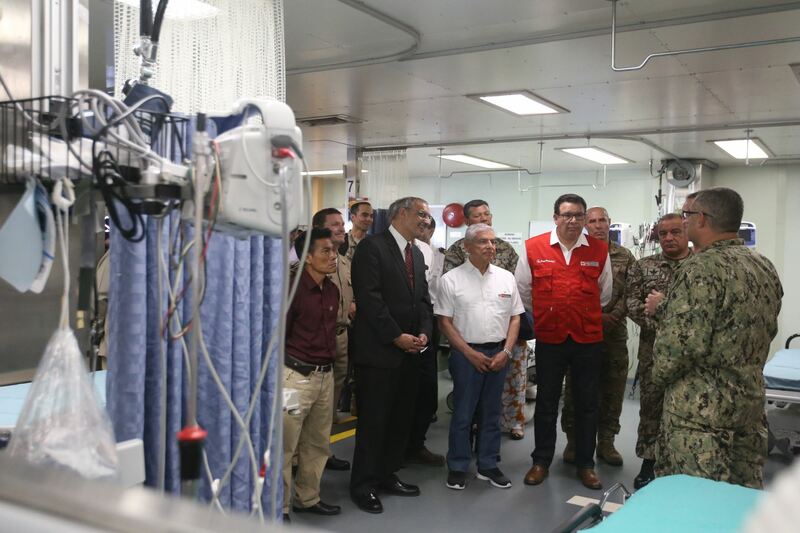 Ambassador to Peru Krishna R. Urs, Piura Region Governor Reynaldo Hilbck, and military authorities. 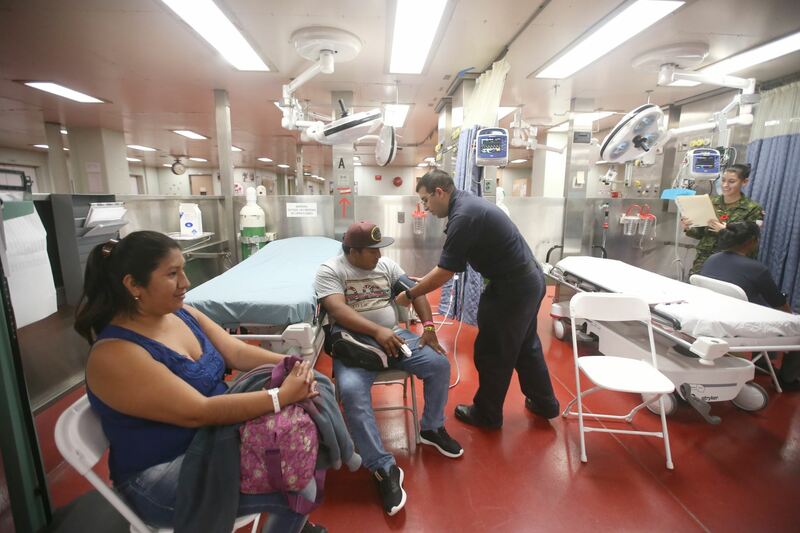 The doctors —onboard the ship— have been providing medical services, as well as surgeries from November 1-5 to patients residing in northern Piura and Tumbes regions. 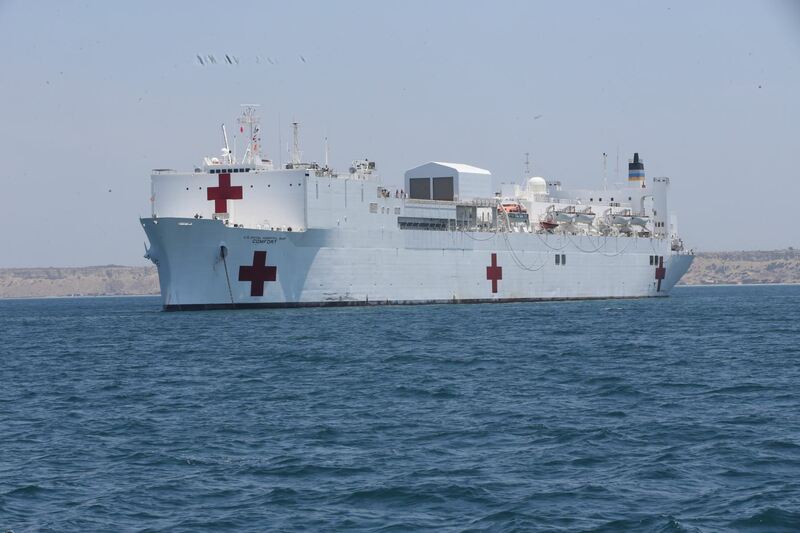 Under the command of Captain Kevin D. Buckley, the USNS Comfort arrived at Paita Port on October 30. 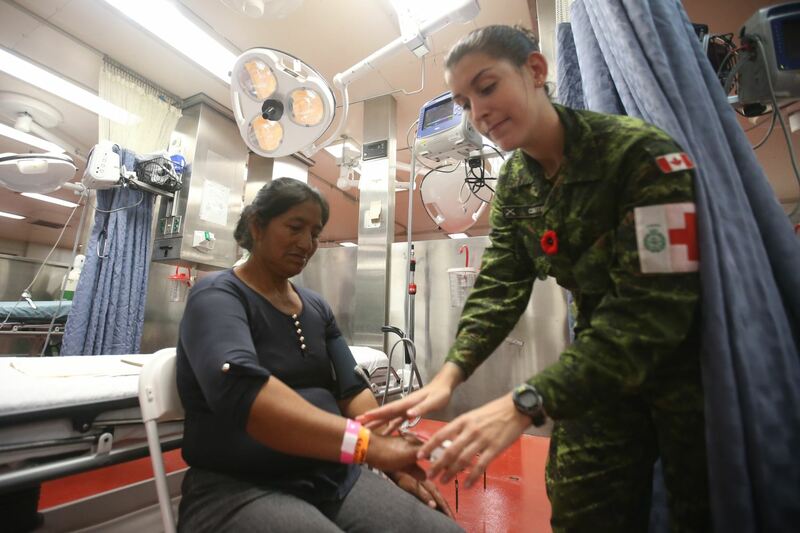 Furthermore, three doctors from the Armed Forces of Peru, who embarked in Norfolk (VA) are part of the mission's crew: Army Lieutenant Colonel Angel Alberto Niño de Guzman Salgado, Air Force Major Claudia Alexandra Portugal Rodriguez, and Navy First Lieutenant Angel Miguel Zelada Lorenzo. 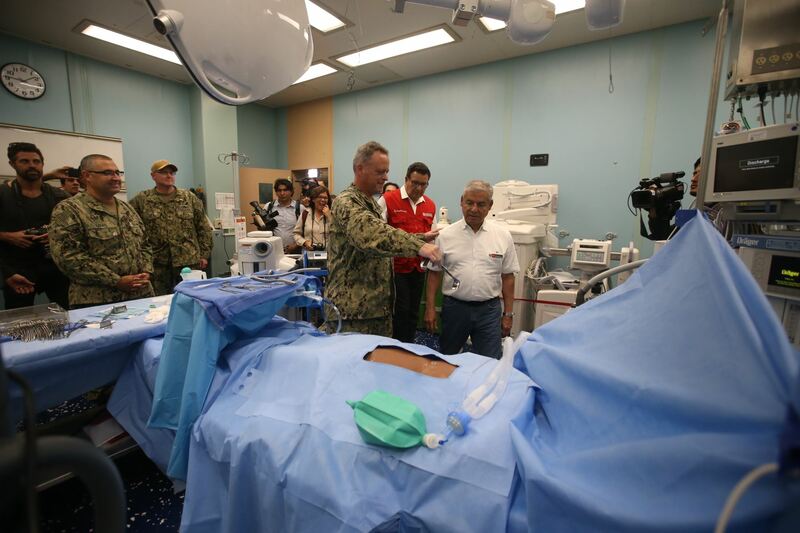 Medical teams from Massachusetts General Hospital; Harvard University; University of California San Diego; World Hope International; Argentine White Helmets Commission, and Canadian military medics participated in the medical assistance mission. 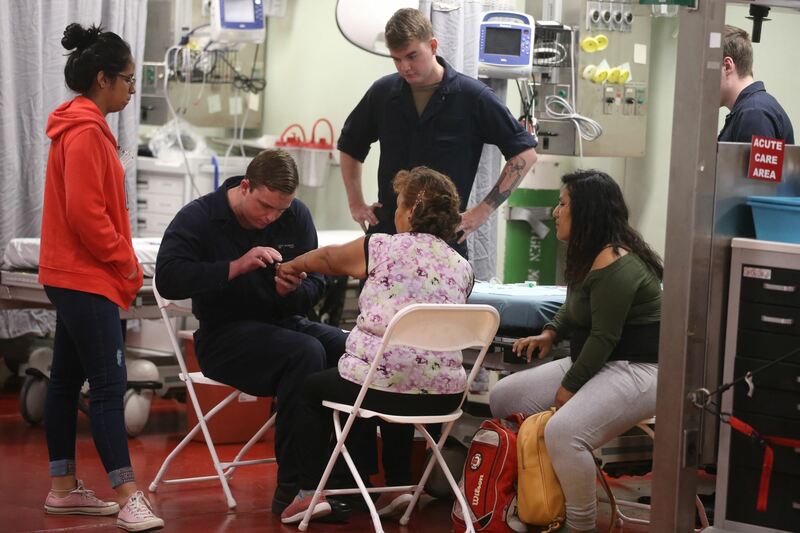 They were also joined by volunteers from Peru's Universidad de Piura, Universidad Antenor Orrego, Universidad Cesar Vallejo, and NGO Rescate. Additionally, the NGOs Food for the Poor, Project Cure, and Midwest Mission Distribution Center provided donations. 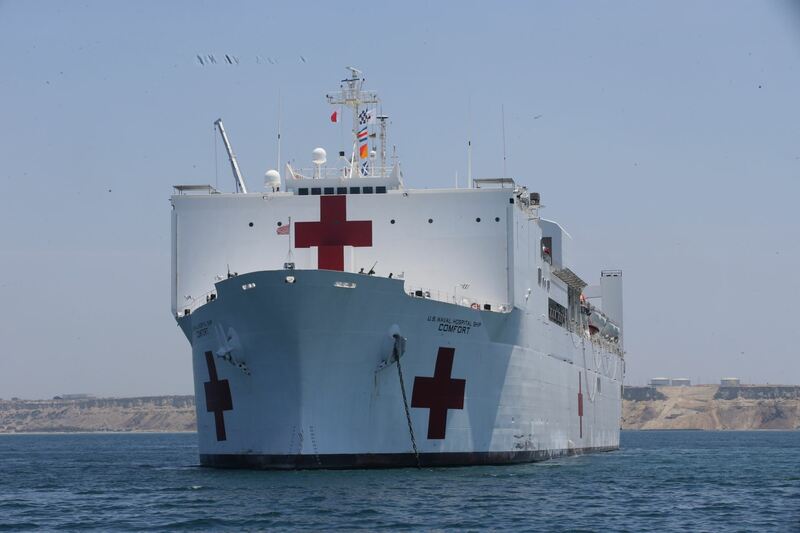 This initiative marks the third deployment of USNS Comfort to the Inca country. Previously, Comfort arrived at Salaverry (2007) and Paita (2011) ports. 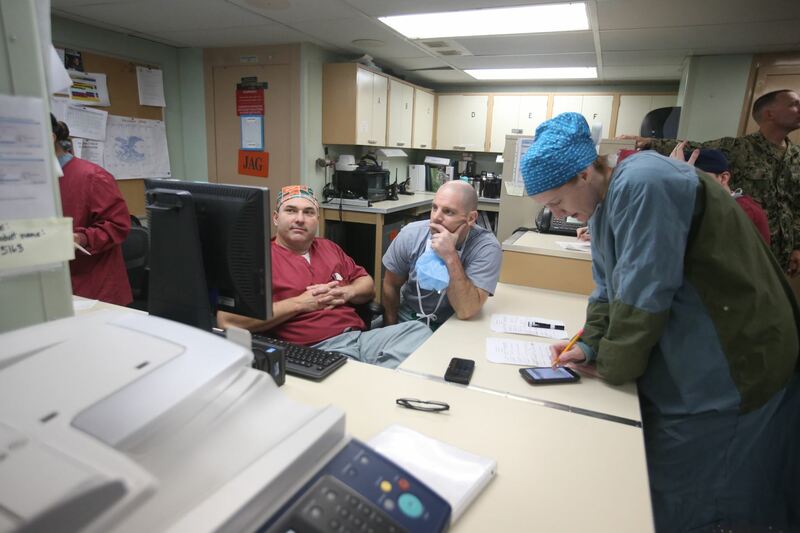 As is known, the ship is on an 11-week medical support mission to Central and South America as part of U.S. Southern Command's Enduring Promise initiative.